In this video, Mark Donovan of HomeAdditionPlus shows how to tile a custom ceramic tiled shower. Tiling a shower need not be left to the pros. However, it is important to first understand all that is involved with tiling a shower. 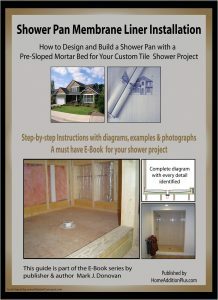 In this video, Mark provides an in-depth look at all the steps involved in tiling a custom shower. 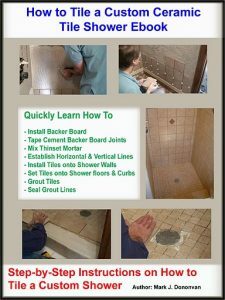 The video includes detailed instructions from tiling the shower walls, and then the shower floor and curb. It is critical that all the steps shown in this video are followed in order to prevent shower leaks and to achieve a professionally tiled shower.